It was an unboxing event unlike any other. 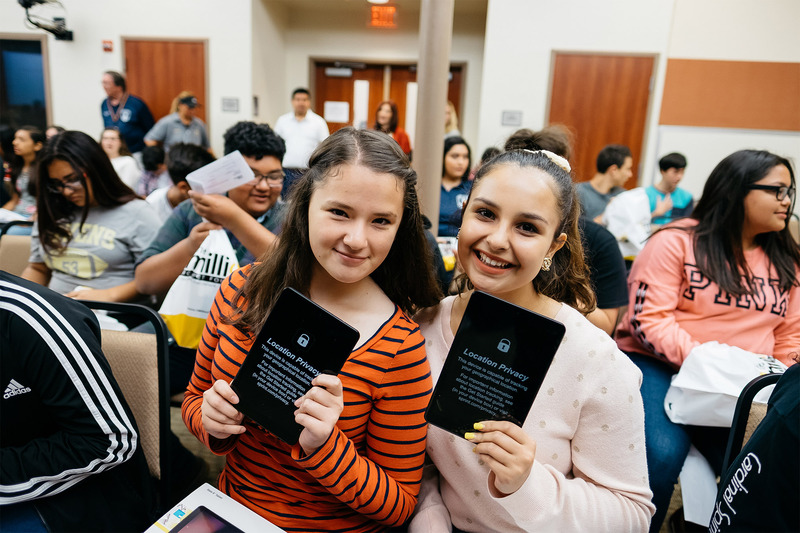 More than 200 Early College High School students were bussed to the Harlingen CISD administrative offices to receive free tablets on Thursday, Sept. 27 as part of the Sprint 1Million Project. The initiative, launched last school year at HCISD, is providing 300 devices a year for five years ultimately connecting 1,500 students with devices and internet service. The 1Million Project was created by Sprint and the Sprint Foundation to help eliminate the “Homework Gap” by assisting high-school students who do not have reliable Internet access at home reach their full potential by giving them mobile devices and free high-speed Internet access. Their goal is to reach one million students across the nation. Online coursework, as well as concurrent enrollment at The University of Texas Rio Grande Valley, requires ECHS students to have access to the Internet to communicate with their professors and submit assignments online. With 3 GB of LTE data per month, the new devices will give them access to their assignments no matter where they are. Last school year, 110 tablets and 190 smartphones were distributed to select ninth-grade students at Dr. Abraham P. Cano Freshman Academy, Harlingen School of Health Professions, and ECHS. Students will be able to reap the benefits of the program for up to four years in high school while enrolled at HCISD. The selection criteria included: no internet access at home, slow Internet speed, or one device for multiple siblings at home.